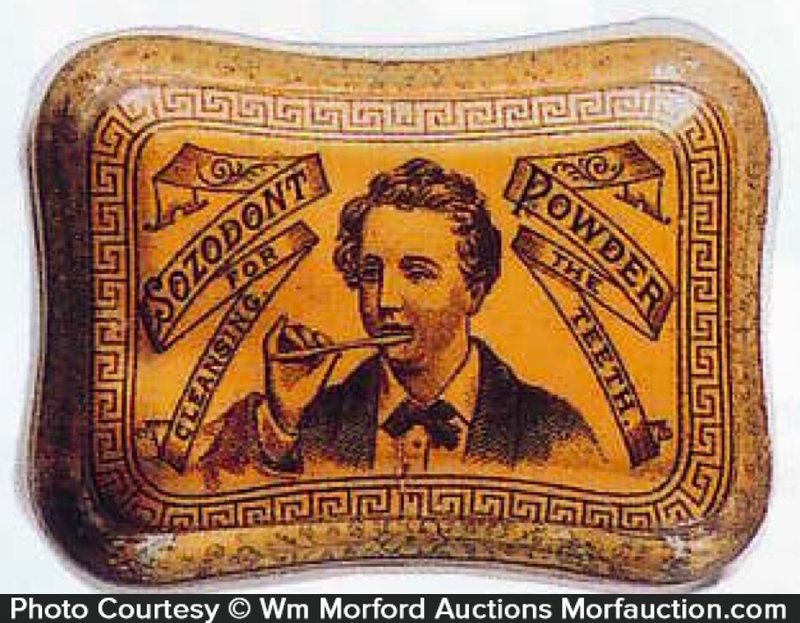 Early tin litho tooth powder tin for Sozodont brand featuring attractive detailed Ginna graphics of man brushing teeth. 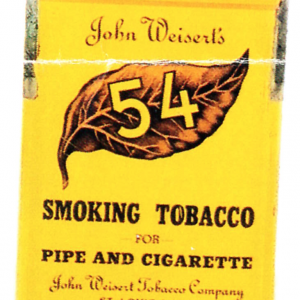 SKU: D11-104. 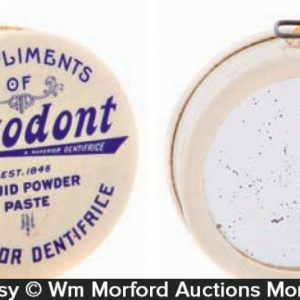 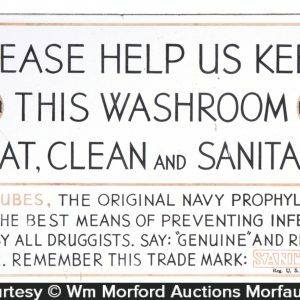 Categories: Antique Tins, Dental/Medicinal. 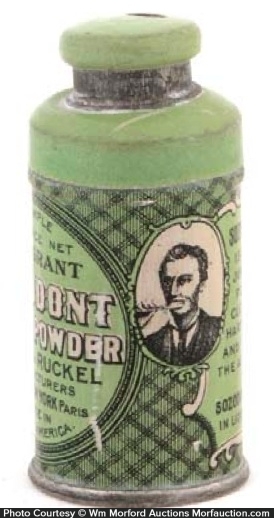 Company/Brand: Hall & Ruckel Co., Sozodont Tooth Powder. 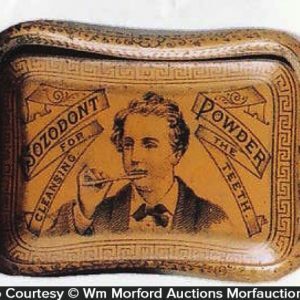 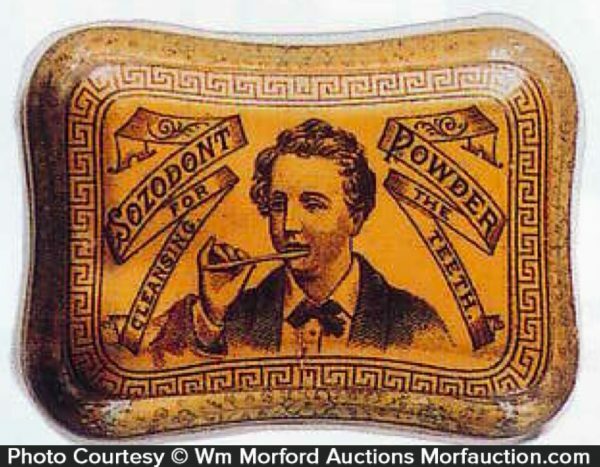 Sozodont Tooth Powder Tin: Early tin litho tooth powder tin for Sozodont brand featuring attractive detailed Ginna graphics of man brushing teeth. 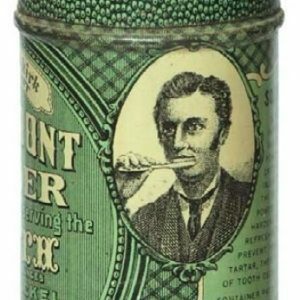 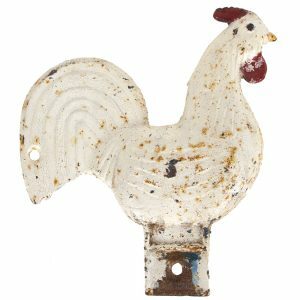 Respectable example, displays well w/ minor denting on lid and some oxidizing and darkening on sides (lid C. 7.5+; sides 7-).